Switzer Performance in Ohio has been tuning the Nissan GT-R for several years now with their performance upgrade packages. Their mid range P800 kit has been popular for GTR owners that do everything from drive on the street to drive on the track. In the dyno chart below two runs were performed within 10 minutes of each other. 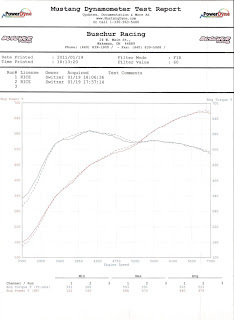 At the wheels on a Mustang dyno, the P800 put 668 whp and 593 ft/lb and 674 whp and 591 ft/lb. The torque peak came in around 4000 rpms. 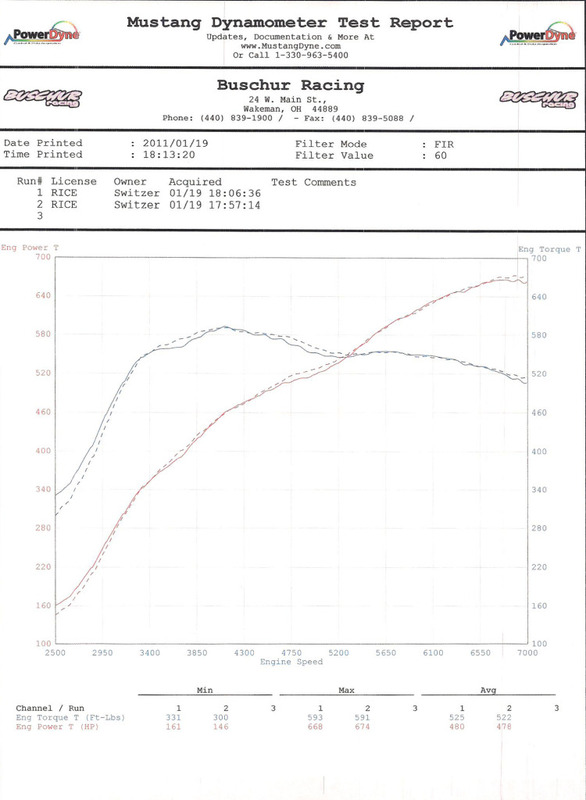 A stock car puts down a little less than 400 whp on a Mustang dyno, so an extra 280 whp is something that will really open your eyes. How does the 2010 R35 transmission and other stock drivetrane components hold up to the switzer p800 upgrade on the street or track? How does the 2010 R35 GT-R stock engine components and transmission and other drivetrain parts hold up to the Switzer p800 upgrade package on the road or track?